Peugeot Fractal is an electric urban coupé revealing a prospective design of the Peugeot i Cockpit® that explores another of the senses: following on from visual; sight, embodied by the head-up display, and touch; with the compact steering wheel and touchscreen, Peugeot Fractal showcases unprecedented attention to acoustics in automotive design. The result is a level of auditory perception that further enriches the driving experience. 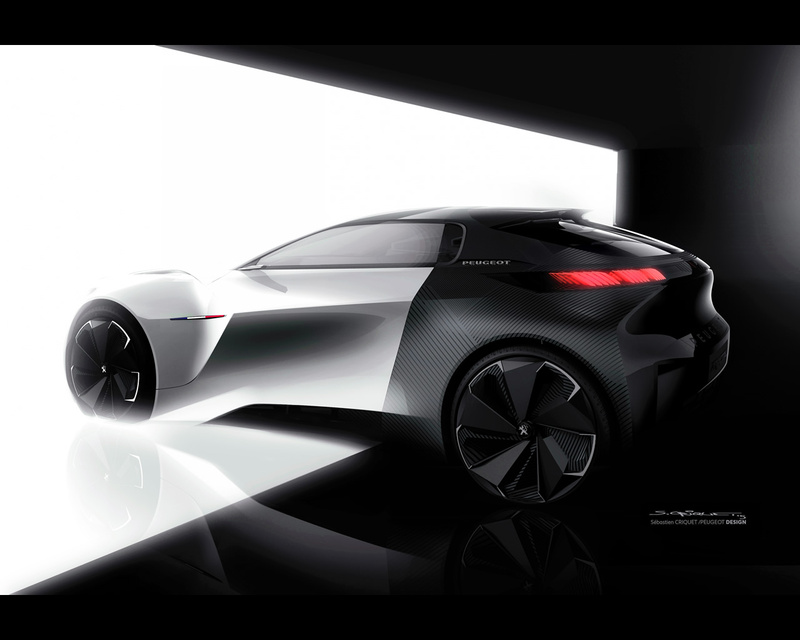 The simultaneous launches of the ‘8’ range and the Peugeot i-Cockpit® gave fresh impetus to the Brand. The Peugeot i-Cockpit® is a distinguishing feature of our vehicles. It transforms the driving experience, making it more instinctive, and amplifies driving sensations. The Peugeot i-Cockpit® has garnered a real following among customers by offering a tangible improvement in driving pleasure. 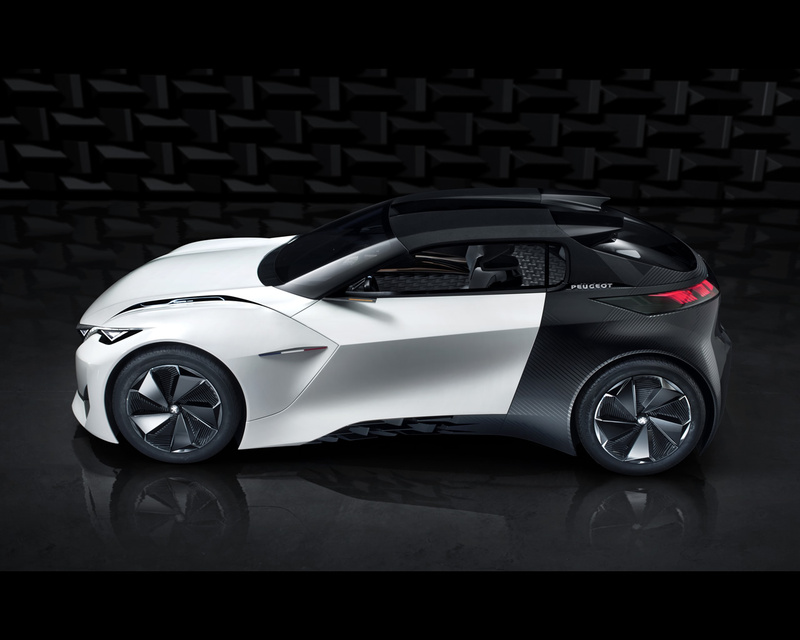 The Peugeot Fractal project explores new possibilities by further enhancing the cockpit experience through the use of sound to enrich information and enhance driving pleasure. 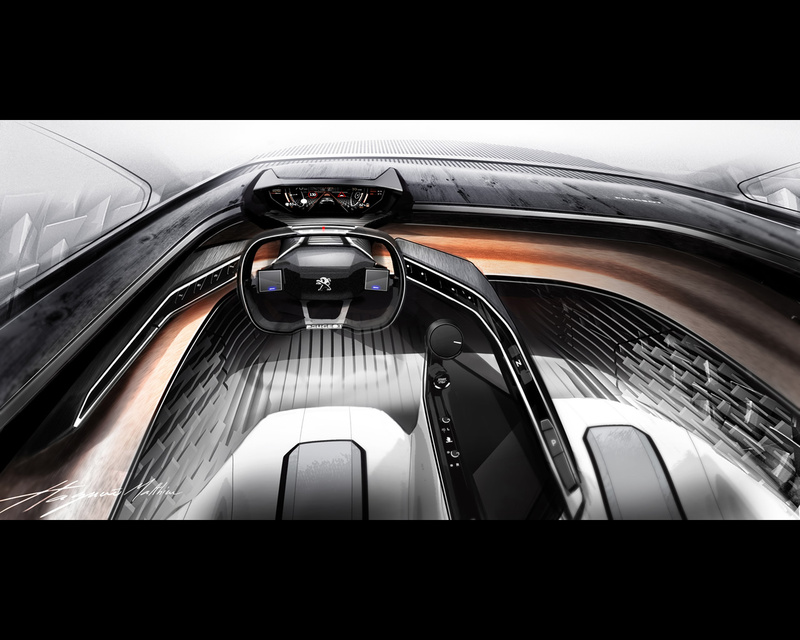 Fractal is an electric urban coupé revealing a prospective design for the Peugeot i Cockpit® that explores the sense of hearing in addition to sight and touch. It makes driving even more instinctive, creating an unparalleled on-board experience. The StelLab* is a PSA Peugeot Citroën research unit that has designed an innovative ‘9.1.2’** sound system combining a high-quality set-up that features tactile bass systems built into the back of each seat to make driving all the more instinctive, enriching information through the use of acoustics. This additional Peugeot i-Cockpit® feature is characterised by the ‘spatialisation’ and ‘dynamisation’ of sound. 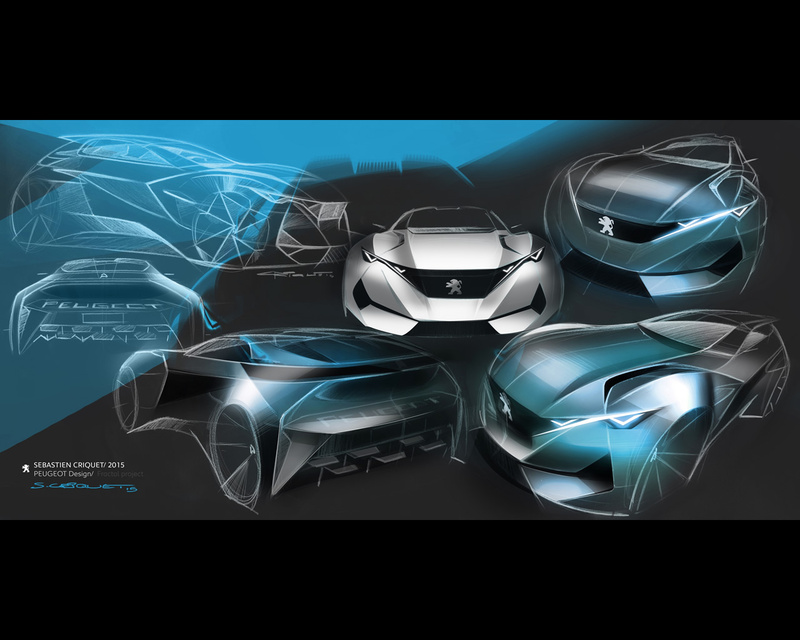 Peugeot Fractal has an interior and exterior identity developed for the first time in partnership with sound designer Amon Tobin. In the city, the car is in sync with its environment. The head-up display features a high-definition holographic screen and a 45-degree polycarbonate strip that delivers additional information and creates an impression of depth. This allows the driver to customise the way information is shown. 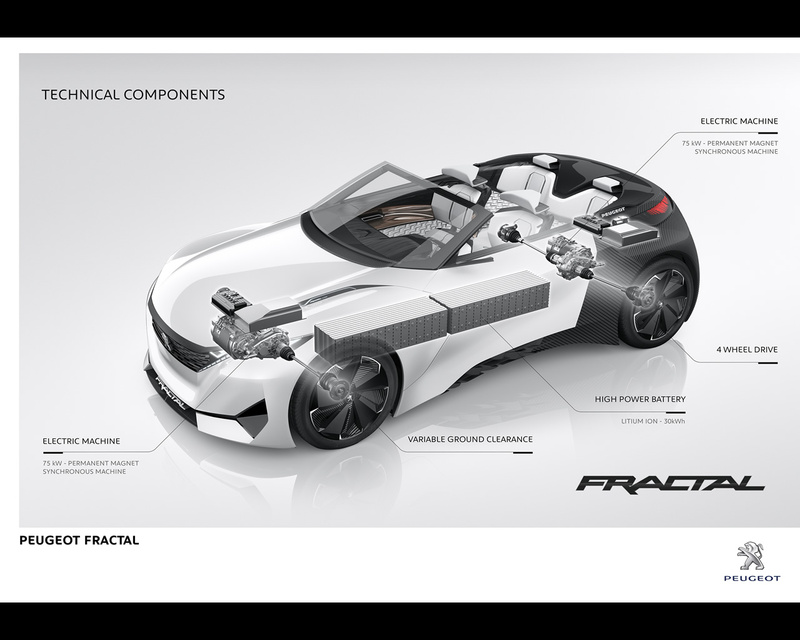 Fractal is an ideas incubator that explores new design and manufacturing processes. 3D-printed parts represent more than 80% of the interior trim surface. The anechoic materials were made through generative design - an incremental, stochastic process used to achieve the perfect component. The 30kW/h lithium-ion battery powers the electric motors on the front and rear axles to provide a total output of 150kW/204hp and combined-cycle autonomy of up to 450km. Variable ground clearance allows the vehicle to adapt to different types of terrain. The 7cm clearance for motorway driving improves aerodynamics to range and boost battery life. This can be increased to 11cm in urban environments, allowing the car to take speed humps and car park entrances in its stride. * Established in 2010, the Science Technologies Exploratory Lean Laboratory (StelLab) is a scientific partnership management organisation comprising a network of PSA Peugeot Citroën experts and academics from countries around the world, including France, Switzerland, Poland, Spain, Brazil, the United States and China. Its main goal is to identify and develop new technologies and innovations for tomorrow's motor vehicles. ** ‘9.1.2’ is the numerical explanation for the effect of the number of speakers, bass-boxes and other sound systems contained within the vehicle. Peugeot Fractal negotiates city streets with ease, always in sync with its environment. The car is extremely compact, at 3.81m long and 1.77m wide, allowing it to weave through heavy traffic. The 19” Tall&Narrow wheels are positioned at either end of the car, with an overhang of just 0.52m front and back to maximise space utilisation and improve manoeuvrability. 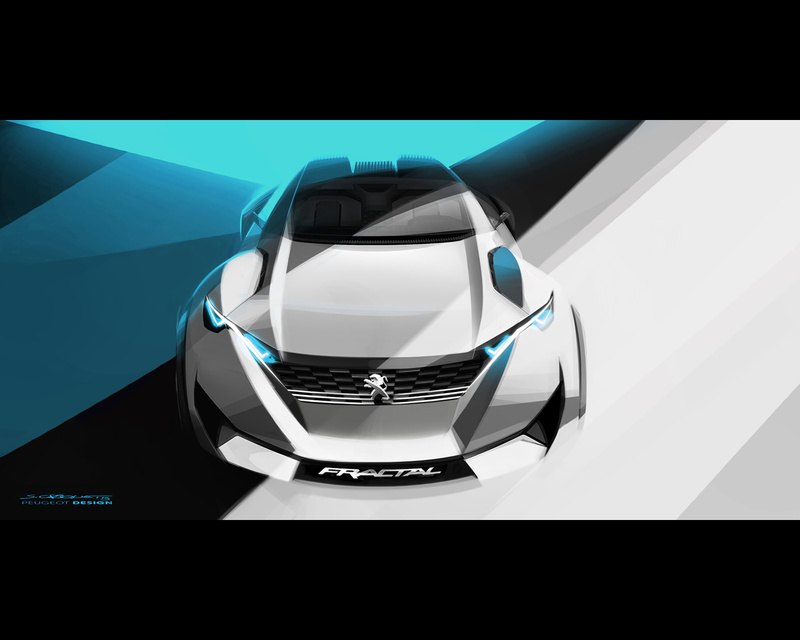 Peugeot Fractal strikes a natural balance and features an electric drive train enabling a new architecture. All components are positioned with efficiency in mind. The lithium-ion batteries are housed in the central tunnel, which lowers the centre of gravity and improves weight distribution. They power two electric motors, each delivering 75kW/102hp, fitted to the front and rear axles. The drive train enhances the aerodynamics of the car, an improvement reflected in the smaller intakes at the front, with less air needed for cooling. The Fractal's styling also embodies the car's ease in an urban environment, which is reflected in the dynamic lines that flow along the length of the smooth body. The Coupe Franche finish further enhances the sense of vitality with a sharp shift from intense pearly white to matt black at the door hinges. The upper body features a removable roof to turn the coupé into a cabriolet. An LED strip above the vent at the rear shows the battery charge status via an equalizer-type display. These LEDs also act as rear lights when Peugeot Fractal is moving. The light signature in the front starts below the grille and flows over the headlamps. It also includes scrolling indicators. Peugeot Fractal is perfectly at home in the city. The already-low noise levels achieved by the electric drive system are further improved by the Tall&Narrow tyres, with their narrow tread. To achieve the highest standards in acoustic performance, the wheels feature dihedral components to attenuate aerodynamic noise. Based on anechoic chambers, these additions reduce the intensity of sound waves, and therefore their noise levels, by causing them to bounce from one surface to another. This type of design is impossible to produce using conventional methods and was achieved through 3D printing. Peugeot Fractal has a unique sound signature to keep it in sync with other road users, especially pedestrians and cyclists: any pedestrians about to step out into the road without looking will be alerted to the Peugeot Fractal's presence. The concept also makes everyday life easier for the vehicle owner through the use of a Samsung Gear S smartwatch, which provides continuous information on the status of the battery, charging time, interior temperature and vehicle location. The watch gives the driver one-touch access to open the doors and customise interior features such as the air conditioning and sound system. The Peugeot i-Cockpit® offers an unparalleled experience combining instinctive ergonomics with an unprecedented ambience. The choice of materials is inspired by auditoriums and recording studios: black oak decorates the instrument panel, door panels and bucket seats; copper trim reminiscent of audio connections runs through the interior, with 3D-printed anechoic motifs enhancing acoustic comfort. A 3D textile mesh covers the seats and is offset by white leather trim. To ensure constant control, the driver's seat provides kinaesthetic feedback based on the Fractal's handling. The intuitive, compact steering wheel features a touchpad integrated into each of its two spokes. These thumb-controlled sensors control a range of Fractal’s functions and equipment. The head-up display provides a holographic eye-level digital readout with a 45-degree polycarbonate strip delivering additional information. Drivers can customise the 12.3” HD digital display to suit individual preferences. The tilted polycarbonate strip gives added depth by showing information on a 7.7” AMOLED screen. There are also toggle switches within easy reach on the arches on either side of the steering wheel. The right hand arch also houses the controls to activate the electric drive system. The 7.7” AMOLED touchscreen built into the centre console can be used to control all Fractal functions. Passengers in the rear also have a panel allowing them to adjust their immediate surroundings. Peugeot Fractal is an ideas incubator that explores the use of 3D printing to create shapes that cannot be obtained through any other process. The resulting parts and components represent more than 80% of the interior surfaces and offer a combination of new styling and real functionality. The touchpad wires run through the spokes of the compact steering wheel. The anechoic surfaces cover more than 15 square metres of the cabin interior and were produced by generative design. The computing power of today's machines makes it possible to explore all variations of shapes and structures for a given part. Generative design recreates the natural evolutionary process through the use of algorithms to create efficient shapes and develop the perfect part in each case. 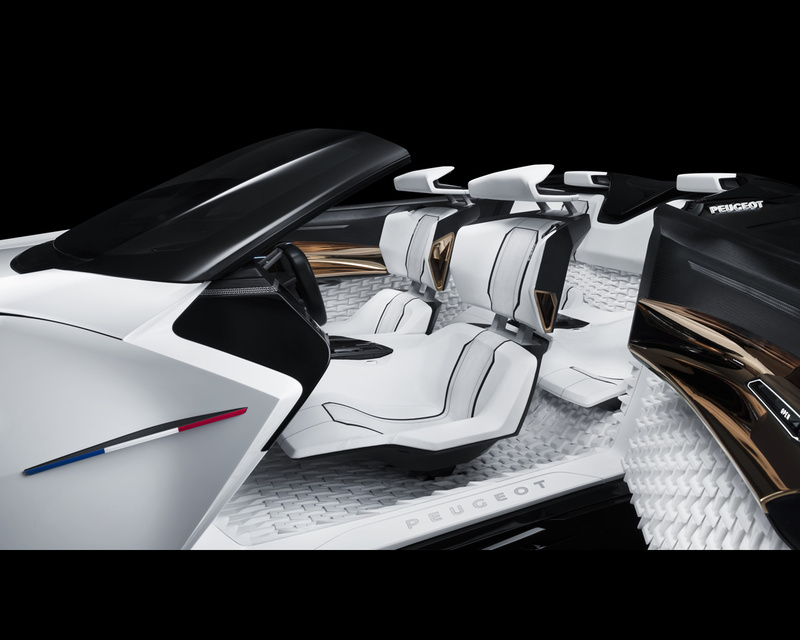 Peugeot Fractal uses just the right amount of material to ensure acoustic efficiency. This prospective Peugeot i-Cockpit® design gives hearing its rightful place alongside sight and touch, since people rely on all three of these senses to negotiate their immediate environment. 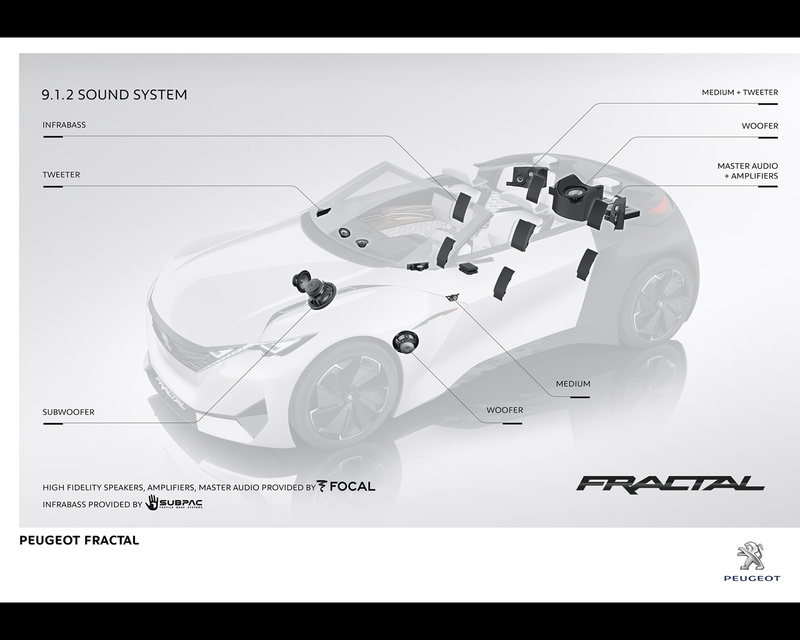 Fractal features an innovative 9.1.2 sound system and acoustic design. 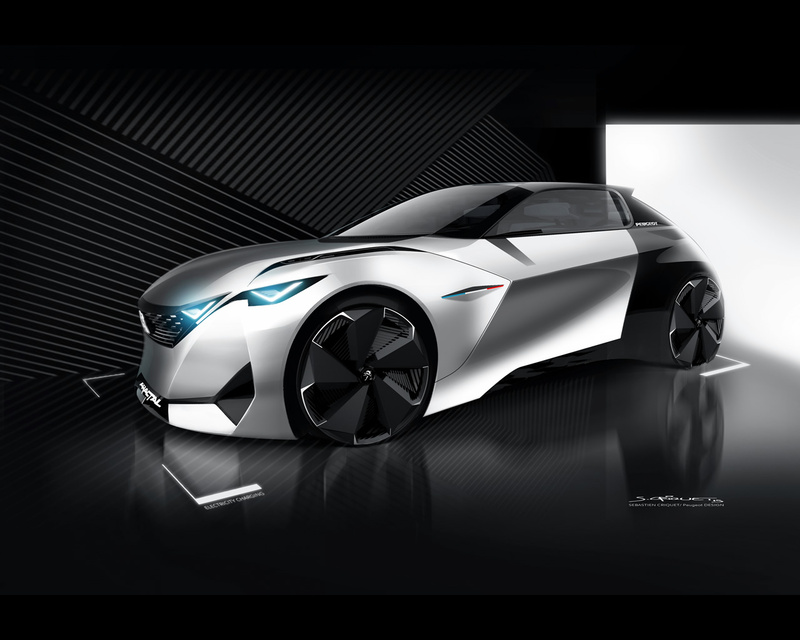 StelLab is a PSA Peugeot CITROËN research unit that has designed an innovative 9.1.2 sound system and related software to provide a completely immersive experience. This digital sound technology simulates the human ear. Sound sources are created virtually and their location projected to enhance the information conveyed to the driver. Spatialisation ensures that the sound matches the morphology and path of the vehicle. 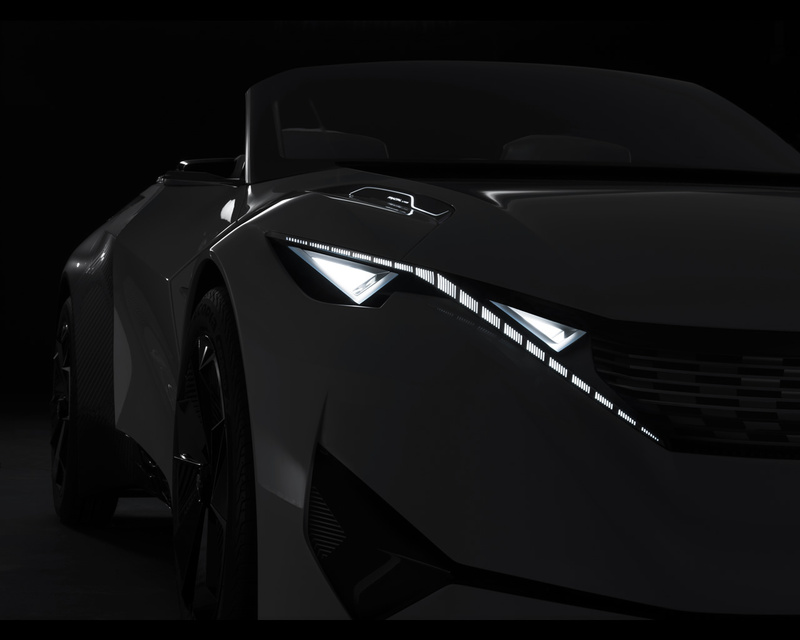 The system developed by StelLab configures the different sound sources separately for the Fractal's coupé and cabriolet modes. To tap its full potential, the 9.1.2 installation features a 9.1 system comprising, in the front, three mid/high-range speakers, two tweeters, two woofers and a subwoofer, and, in the back, two mid-range speakers, two tweeters and a woofer. Leading French high-end audio specialist FOCAL also created the linen-fibre membrane for the speakers to render sound faithfully. 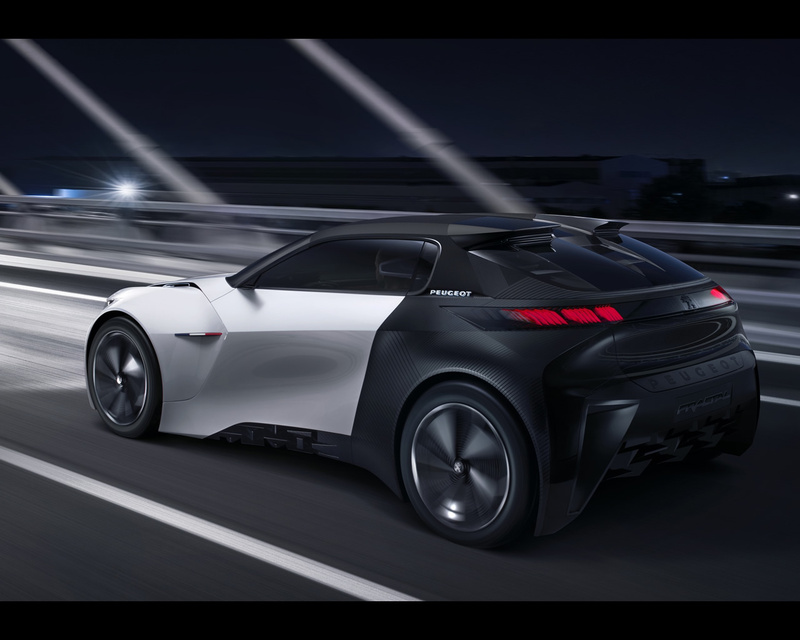 Peugeot Fractal also infuses the electric drive train with its own acoustic identity, a world away from any associations with internal combustion engines. Peugeot brought in Brazilian sound designer Amon Tobin to rise to this specific challenge. The Peugeot Fractal's external sound signature keeps it in sync with other road users, such as pedestrians and cyclists, who are alerted to the car's presence by different sounds specific to the vehicle's status: acceleration, deceleration and cruising speed. The way in which spatialisation and the quality of this installation enhance the driving experience is evident in Amon Tobin's acoustic set-up. 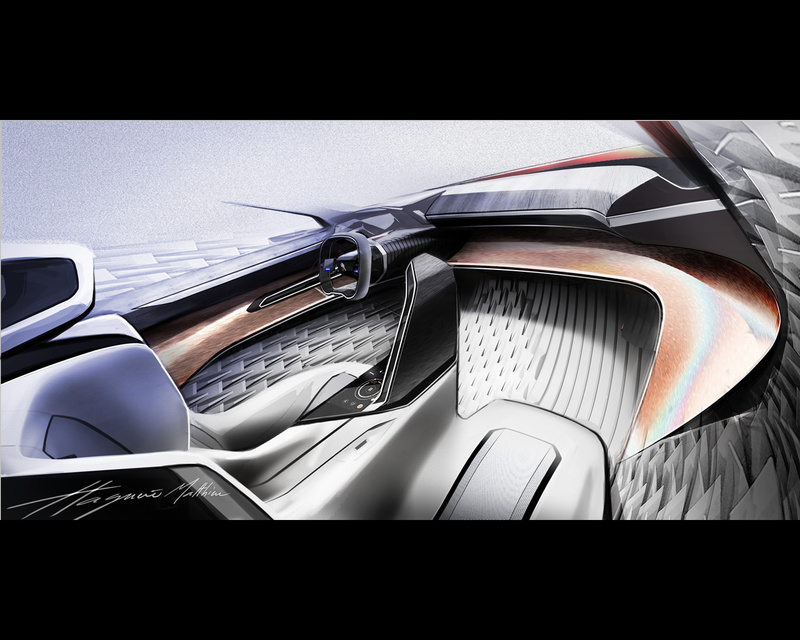 Peugeot Fractal is unique, the result of the successful collaboration between the artist and the Peugeot Design team. The electric drive train optimises aerodynamics and includes features unprecedented in the segment. 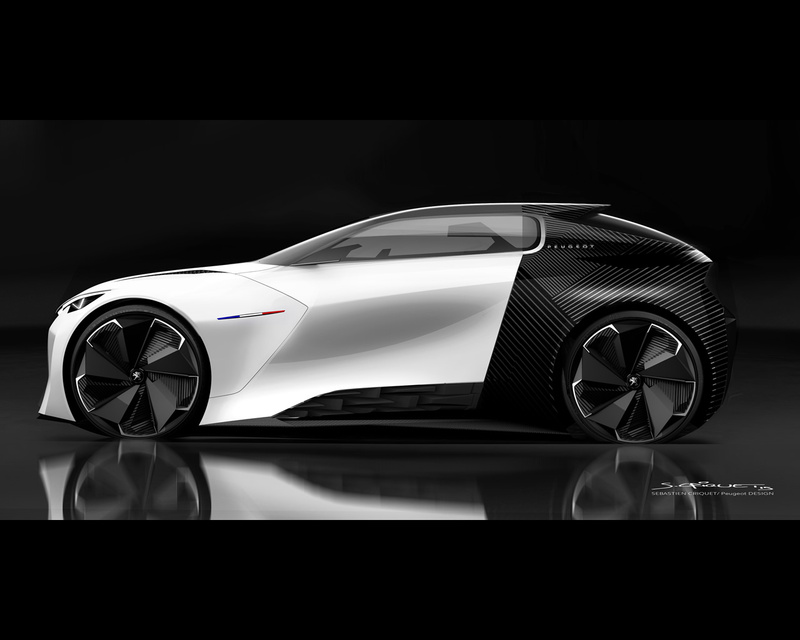 The Peugeot Fractal's overall balance has been improved by installing the lithium-ion battery in the central tunnel. This reduces the vehicle's weight and lowers its centre of gravity. The 30kW/h battery powers two 75kW/102hp electric motors, one on each axle, and offers a Combined Drive Cycle potential distance of 280miles. The system manages power output according to driving conditions. The 150kW/204hp is distributed based on grip to optimise traction and energy recovery. In addition, to take into account weight transfer considerations, the electric motors have different gear ratios. During acceleration in the 0-62mile range, the rear motor kicks in first, with the front-axle motor gradually taking over beyond 62mph. The four-wheel-drive Fractal has electric assisted steering to ensure outstanding efficiency in the city and stability at high speed. The air springs can function automatically or be controlled by the driver to adjust ground clearance between 7cm and 11cm: the lowest position optimises aerodynamics on the road and extends the cars’s autonomy; the highest clearance allows the car to negotiate city streets with ease and take speed humps and car park entrances in its stride. 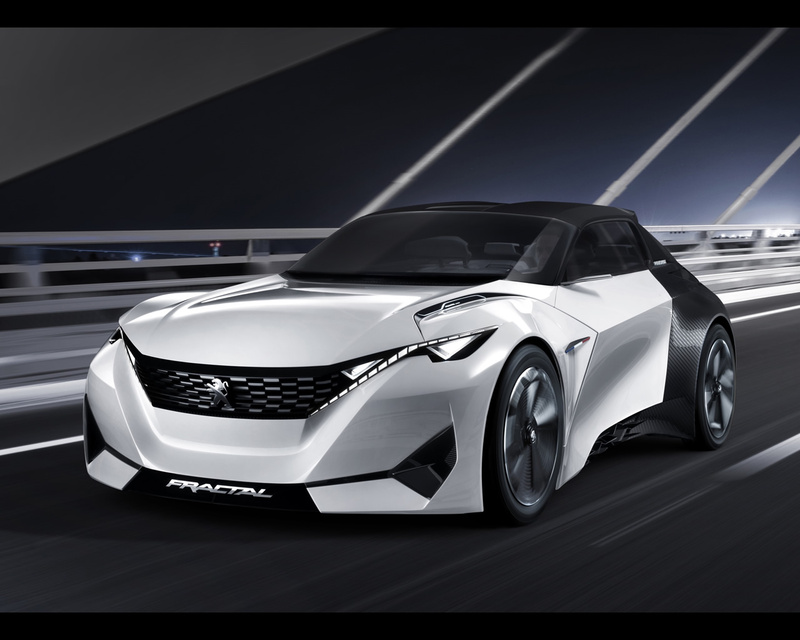 Weighing in at just 1,000kg, Peugeot Fractal goes from 0 to 62mph in 6.8 seconds while offering a new sensory experience for the ears, and can cover 1,000metres from a standing start in 28.8 seconds. 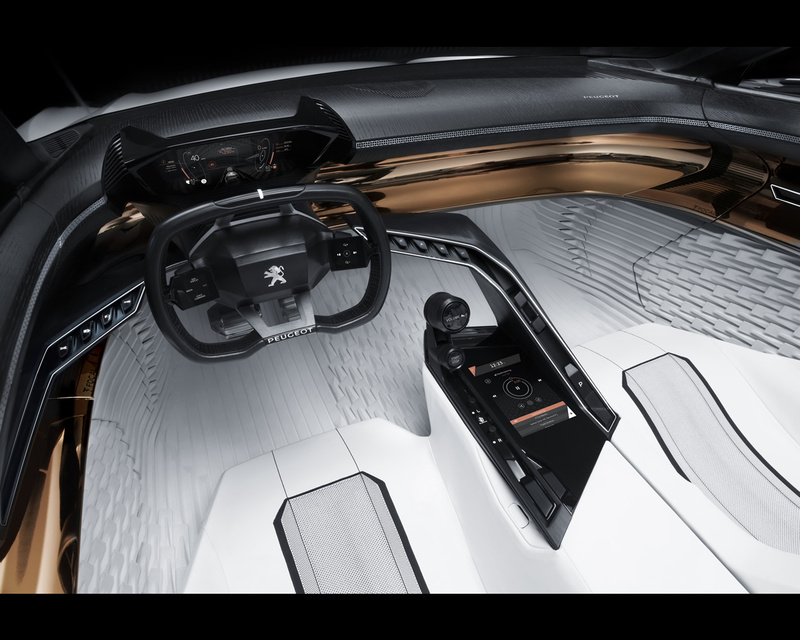 In conclusion, Peugeot Fractal offers a glimpse of the future for the Peugeot i-Cockpit® to create an even more instinctive, enjoyable driving experience. The new urban electric coupé finds fresh inspiration in sound to add hearing to the ongoing exploration of sight and touch.